Don't want people to know how many games you play? Hide them. Notifications appearing on your lock screen can be convenient, but also potentially embarrassing if someone else sees them. Luckily, you can hide notifications from your lock screen on your Android device so that everything is for your eyes only. Instructions in this article apply to smartphones and tablets running Android 9.0 Pie, 8.0 Oreo, 7.0 Nougat and Android 6.0 Marshmallow, but some steps may vary depending on the device manufacturer and model. Android smartphones usually have three options for locking screen notifications: show all, show none, or hide notification content. The last option means you can see which app the notification is for, but not its contents, thereby protecting your privacy and letting you know whether it's worthwhile to unlock your phone. 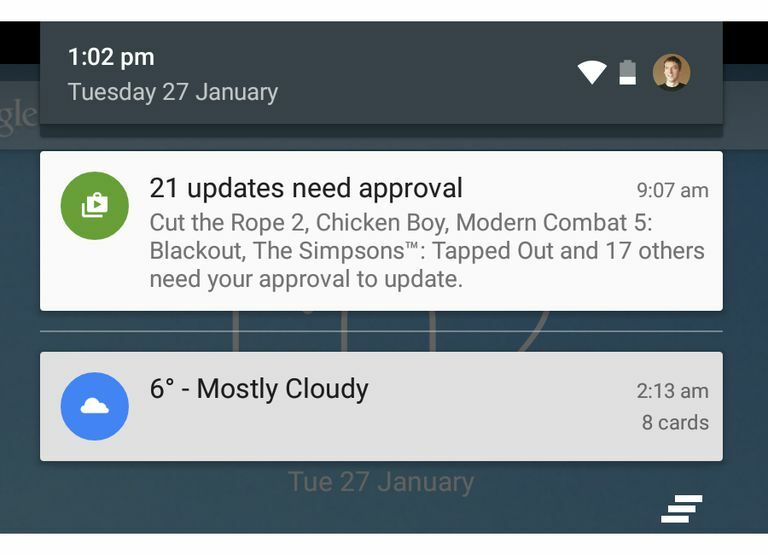 Tap Apps & notifications ( or Sound & notifications in older versions of Android). Tap Don't show notifications at all or Hide sensitive content. In older versions, the latter option may not be available. On non-Pixel smartphones, it may say Hide all notifications or Hide sensitive notification content. Repeat the steps above and tap Show all notification content to make them visible again. Another method to access these options on stock Android phones is to navigate to Settings > Security & location > Lock screen preferences > On lock screen. This process varies depending on your phone's make and model, but smartphones that don't run stock Android from Huawei, LG, and OnePlus still have the options above. Tap Content on lock screen. Tap Do not show notifications or Hide content. On newer Samsung smartphones, the process is the same, but the options read Hide content and Notification icons only. On older HTC phones not running stock Android, you must go to Settings > Sound & notification > When device is locked to access these options. If none of these methods work, try searching lock screen in the Settings app. In many cases, you can adjust individual app settings, which will override the default setting you selected above. How Much Do You Really Need Stock Android on Your Smartphone?